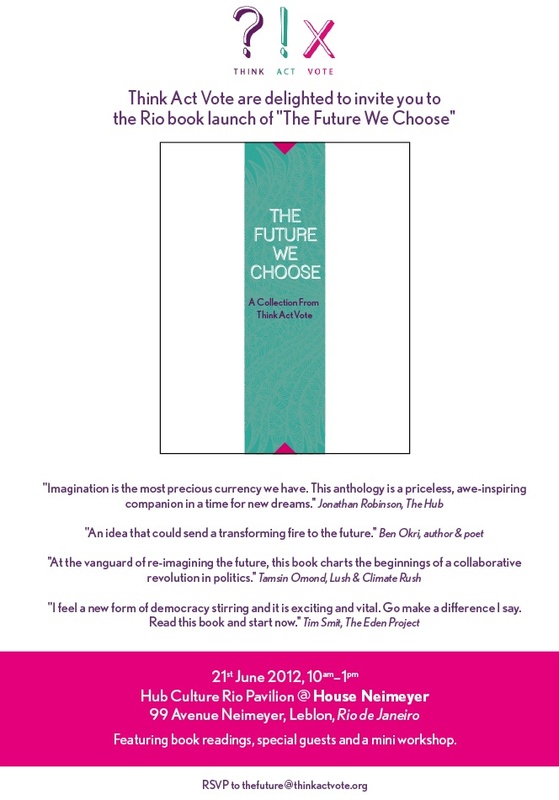 When we found out that Rio+20 was on the theme of The Future We Want, we knew that we had to hold a launch event for our book The Future We Choose, A Collection by Think Act Vote. We are delighted to be hosting the event with Hub Culture, in their brand new beachside Rio Pavillion. If you are in Rio, or know people that are, please let them know. What: Book Readings, Special Guests and a mini-workshop.